YOUâ€™VE ENDED THE DAY TOP OF THE TIMES; DOES THAT SEND OUT A MESSAGE TO THE COMPETITION? Itâ€™s nice to be fastest but you never know what the others are doing; we just stick to our programme and donâ€™t take too much notice of what else is happening. I actually made a mistake through the final corners on my fastest lap, so thereâ€™s still more time to be found. HOW ARE YOU FEELING WITH THE CAR SO FAR THIS WEEKEND? It wasnâ€™t a bad start today; things arenâ€™t exactly where we want them and thereâ€™s always improvements you can make, but weâ€™re reasonably fast. Itâ€™s tricky to get the setup right here and the wind can make a big difference; it might work for you one way but make things more tricky the other. Itâ€™s all in the small details; if you get it right or wrong you might see a second per lap difference either way and things can change very quickly. We tried a few new things and they seem to be working ok so weâ€™ll see how that develops over the weekend. YOUâ€™VE HAD SOME GREAT RESULTS FROM SLIGHTLY MORE MODEST GRID POSITIONS; HOW IMPORTANT IS QUALIFYING HERE? Itâ€™s the same as always; you want to be as close to the front as possible. The fewer cars there are in front of you the less chance you have of getting caught in traffic which helps you stay with the leaders and also save your tyres. Of course itâ€™s possible to get good results from further back, but a strong qualifying and clean start make things a lot easier. CHINA PRODUCED YOUR BEST QUALIFYING RESULT FOR THE TEAM; CAN YOU MATCH THAT HERE? You never know on Friday if youâ€™ll be fast enough to fight for pole and thereâ€™s no point comparing one race to another; itâ€™s a different track and different conditions so we just have to take one weekend at a time. Tomorrow is a new day, we still have one more practice session before qualifying and things can change very quickly. We should be ok but you never know. Letâ€™s see what we can do from here. Kimi is looking very good. Alonso did faster stints but his was much shorter. So it is difficult to compare. I hope Lotus can stay competitive the whole weekend and they dont lose their setup during the weekend. I would love if anyone can find a pic of Kimi's car where you can also see the colors of the track. I've seen beautifull pics from other drivers but not from Kimi. Kimi RÃ¤ikkÃ¶nen set the ninth fastest time and Romain Grosjean the eleventh during qualifying for the 2013 Bahrain Grand Prix. Romain missed out on the top ten by a mere 0.06secs but will be the first driver on the grid to have open tyre compound choice for tomorrowâ€™s race. Kimi will start from eighth after a penalty for Mercedes driver Lewis Hamilton. Weâ€™re obviously disappointed with the qualifying result. We just missed the cut for Q3 with Romain who had been looking strong, but unfortunately the track evolution caught us out a little bit and he made a couple of small errors on his only lap in Q2. If this hadnâ€™t been the case, weâ€™re sure he would have made it through. Kimiâ€™s session was a bit more of a mystery. His second run in Q2 was pretty respectable but it just didnâ€™t come together for him in Q3. Heâ€™s been strong all weekend up until that point, so weâ€™ll need to trawl through the data this evening to understand what happened. What opportunities does Romain have from P11? Romain has plenty of new tyres to work with and starting on fresh rubber should give him a good boost at the start and through the first stint. We can decide which compound he will start on so weâ€™ll be crunching the numbers to work out the optimum strategy. We were very happy with our long run pace yesterday, with both cars showing decent pace and manageable tyre degradation levels. Itâ€™s a tough race on tyres which tends to work to our advantage and we managed a great result from a very similar situation this time last year, so weâ€™re certainly not out of it yet. Kimi Raikkonen says his performance in qualifying for the Bahrain Grand Prix was the maximum Lotus was capable of. Having been fastest on Friday, Raikkonen was tipped to join Ferrari and Red Bull at the front of the field at Sakhir. But he was 0.997 seconds off the pace in qualifying and only ninth quickest. He denied that there had been any unexpected drama and said the result reflected the car's single-lap pace. "We were not fast enough. This was our maximum," Raikkonen said. "Maybe we could've been a few places better, but like I said yesterday, it didn't feel exactly like we want. "It's just one of the places where we don't seem to have the speed. Hopefully tomorrow it will turn out different." 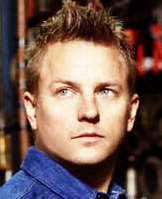 Although Raikkonen is currently second in the world championship, he said Lotus is a notable step behind the top teams. "We need more grip," he said. "We know we're probably missing a bit of downforce compared to the top guys." Last year in Bahrain, Raikkonen was able to turn 12th place on the grid into a runner-up finish, as he fought race winner Sebastian Vettel for the victory. Raikkonen played down the chances of a repeat performance, while admitting he hoped the E21's long-run pace would be more competitive. "Every day is different. Whatever happened last year is not going to help us tomorrow," Raikkonen said. "We had an OK long run yesterday so hopefully it will work better. "I cannot tell you where we're going to finish. That would be stupid. We can only do our best and hopefully that will be a better result than today. "I hope that our tyres can last in better shape than some of the others." Unfortunately not the best quali result for Kimi but I hope theyÂ´ll have a better pace at the race. Important for him is to get as much points as possible for the championship. It wasnâ€™t the easiest qualifying session after a weekend which hasnâ€™t been the easiest so far either. Yesterday it was difficult at times to find the balance with the car and I found the same thing today. My lap wasnâ€™t great so maybe we could have been a few places higher, but it is what it is; sometimes it goes your way and sometimes it doesnâ€™t. You canâ€™t really tell from practice where youâ€™ll be, so although we didnâ€™t do too bad yesterday it doesnâ€™t mean anything. This morning the car felt good and again our pace looked ok, but we didnâ€™t quite get it right this afternoon. Hopefully weâ€™ll find some improvement in the car for tomorrow. WHAT ARE YOUR THOUGHTS HEADING INTO THE RACE? Weâ€™ll try to do our best like always and see where we end up. We werenâ€™t fast enough today but itâ€™s a long race, our long runs seem to be pretty ok and we usually we do better on Sundays anyway so anything can happen. One of the biggest surprises in Saturdayâ€™s qualifying session for the Bahrain Grand Prix was the performance of the Lotus cars, with Kimi Raikkonen 9th fastest and Romain Grosjean 11th. They were the pace setters on Friday, set the fourth fastest time in Saturday morning practice and Raikkonen set a competitive Q2 time in 1m 33.146, the third fastest time in that session. 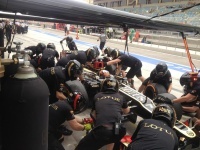 According to Lotusâ€™ Trackside Operations Director, Alan Permane, the result is something of a mystery. They believed â€“ and many other teams agreed with the view â€“ that Raikkonen could win this race, based on the single lap and long run performances the showed on Friday. Analysis of Raikkonenâ€™s qualifying tells a story in itself. First there is the Q2 time, which was competitive, in 1m 33.146s. The problem was that he didnâ€™t move forward from there in Q3. Whereas Rosberg found 0.5s from Q2 to Q3, Vettel 0.2s, Alonso 0.7s and Hamilton 0.6s, Raikkonen actually went slower in Q3 by 2/10th of a second, recording a 1m 33.327s lap. Had he simply repeated his Q2 time he would have split Webber and Massa in 6th, which would have become 4th with the penalties for Hamilton and Webber. From the second row of the grid, alongside Alonso, we would have had the thrilling battle, which had looked to be on the cards between the two all weekend. So was the Lotus too slow? Well, not if you add together all of Raikkonenâ€™s best sector times. Had he been able to put them all together in the same lap, as others did, then he would have done a 1m 32.983s instead of the 1m 33.327s. And that would have put him next to Alonso on Row 2. So itâ€™s not that the car wasnâ€™t fast enough; it was capable of doing fast sector times. The problem was that he wasnâ€™t able to put them all together in one lap. This is an example of the very fine margins which divide success and failure in F1 at the moment. From 8th on the grid with two Force Indias ahead of him which will be hard to overtake, as they are the two fastest cars in the speed trap and Raikkonen is giving away 6km/h which is half the DRS effect. On top of that, Massa will run a long first stint on hard tyres and then there is also Mark Webber to get past; itâ€™s going to require a blistering start and some clever strategy to get Raikkonen into contention for a podium. The Lotus has the best tyre life and a very strong race pace, so itâ€™s possible. Only Raikkonen knows where that pace went when it mattered in Q3, but tomorrow he has a chance to redeem himself. Last year Lotus qualified 7th with Grosjean and 11th with Raikkonen and finished second and third. But Raikkonen had the advantage of saving enough sets of tyres to do the whole race on new sets. He will have to work harder tomorrow, as he did in the Australian race this year, which he started in seventh place. Well since the qualifying has gone so bad, it has removed some of the pressure off. Most people were expecting very good results.It will be difficult now, so there is much less expectations.